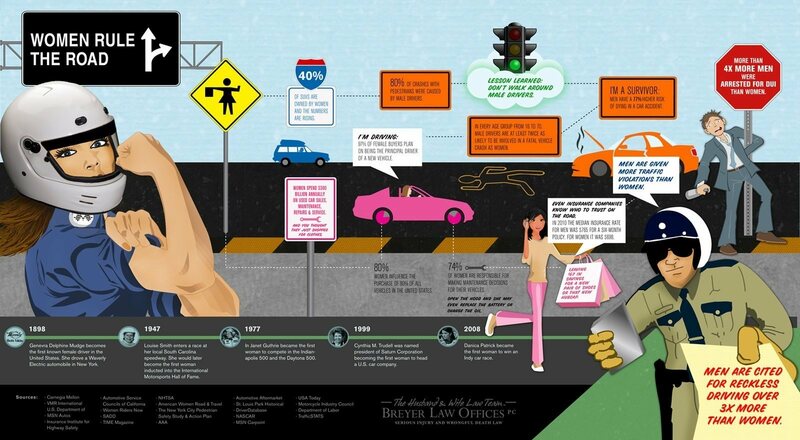 Who Causes More Car Accidents, Men or Women? The highly rated Phoenix car accident lawyers at "The Husband & Wife Law Team" had exactly this discussion. Known throughout Arizona as top lawyers handling serious injury and wrongful death claims arising from car accidents, Alexis and Mark Breyer got into something of a, well, we will just call it a "friendly debate." So Alexis decided to do some research to help prove her point. What she came up with was her "proof" that women drivers are better, safer drivers than men. Here are her results in this infographic for the world to see. Mark Breyer remains undeterred, of course, and continues to argue the opposite.